Happy Friday, friends! I hope everyone had a good week. I'm not even sure where to start because my week was just all over the place. Eric's had to head out of the house a lot earlier for work which has left me getting the boys ready and out of the house for the day. Let's just say one morning they had me in tears with how they were acting. Then other days, they were little angels. I know we all have our days and they are still learning, but boy oh boy did they give me a run for my money. I'm doing my happy dance over here because I took the day off to to get things ready for little nugget's party. We are still hoping for no rain clouds and for everyone to just have a good time. If you'd like to see some sneak peeks and party fun, head to my instastories. I posted a comment on my facebook page that after the morning the boys gave me, I wished I was back smelling that sweet calming scent of lavender. 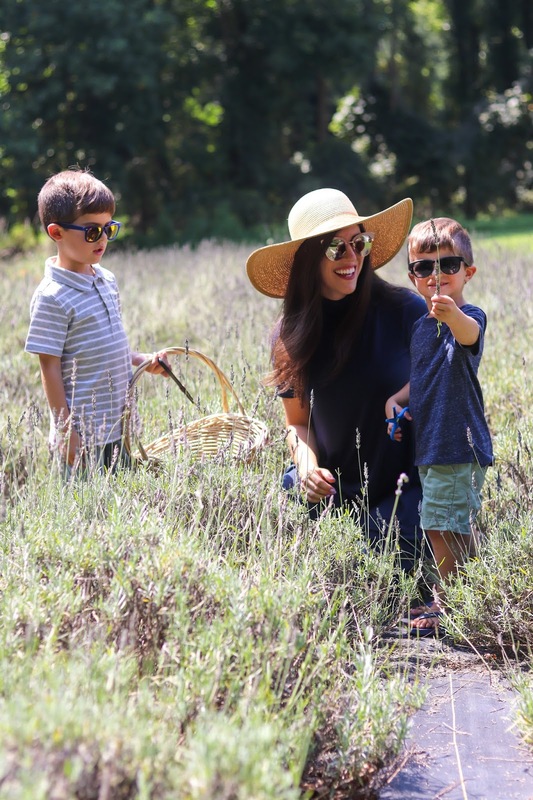 In case you missed it, we visited a lavender farm and had a nice time cutting bundles and seeing all the butterflies circle around us. It was kind of magical. Our weather was so weird over the weekend. It was pouring in the morning and then by the afternoon the sun came out and all was right again. The boys were up bright and early, which is rare because they usually sleep great when it rains. I knew we needed to get out of the house to do something. 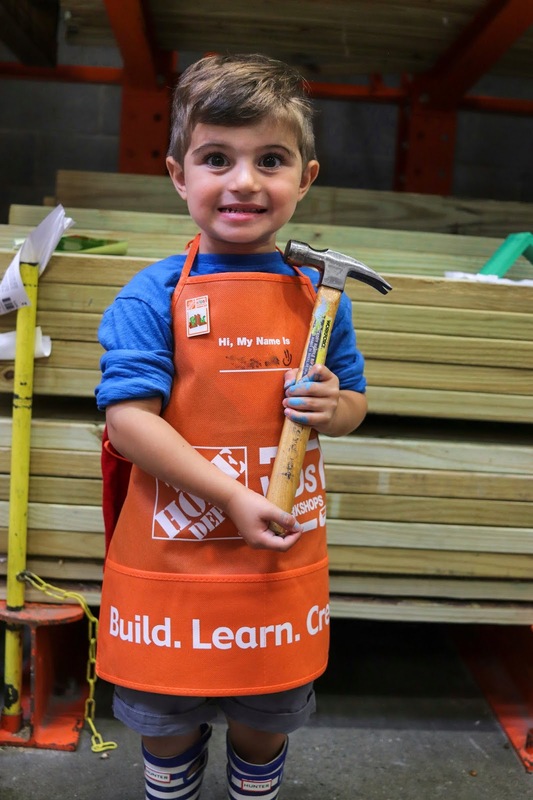 I've always wanted to check out those workshops at Home Depot so we took the boys and they loved it. 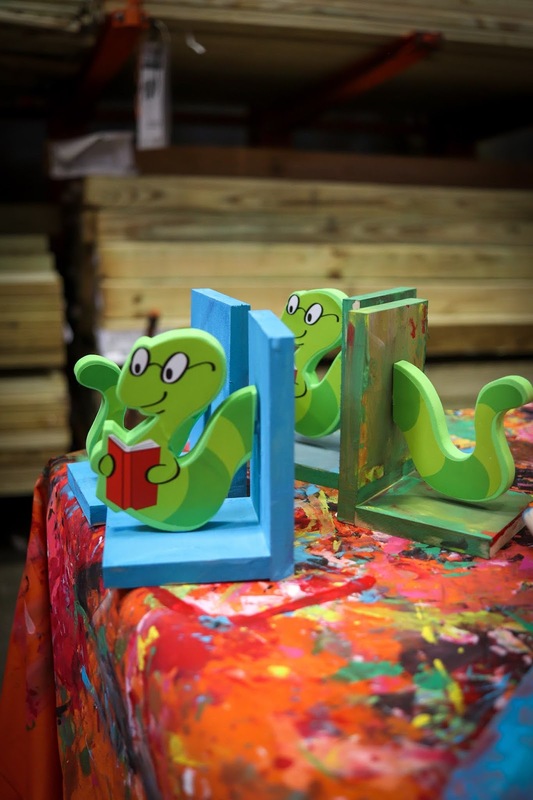 They made these adorable bookends and little nugget fell in love with using a hammer. I think we've now added one to his birthday list. My friend Jackie over at Moments of Musing shared a post that's near and dear to my heart and I think speaks so well to all of us. Her post about world breastfeeding week really helped me during a week that normally I'm happy to see shared and celebrated, but has left me with different feelings this year. When we found out baby boy has a bilateral cleft lip and palate our doctors let us know there could be a possibility he would need a feeding tube and there is a slim to none chance that he will be able to breastfeed. Hearing all of that hit me really hard. 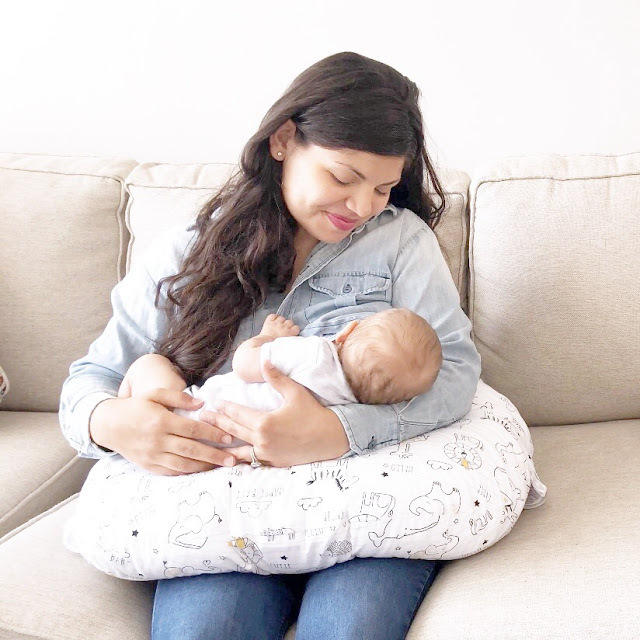 I was able to breastfeed both A and little nugget and it was something so special to me and something I'm proud of. I'm worried about missing out on those bonding moments with baby boy to come and not having that connection with him. Jackie talks about how no matter how we feed our babies we are all amazing moms, and that's what's important. She's been on both sides and can relate to everyone's situation which made this so special to me. Sometimes it's those little reminders that can help us along the way in knowing we are all doing our best. 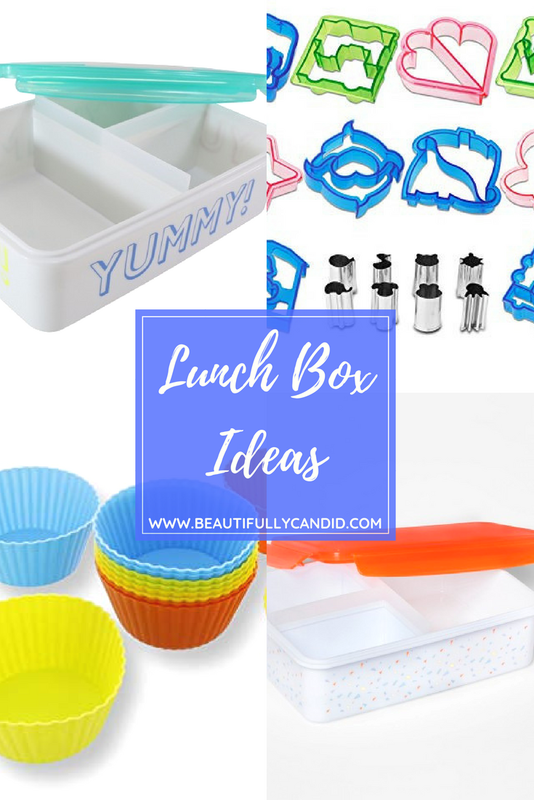 Speaking about feeding, I'm trying to get some new lunch box ideas together for the boys for the upcoming school year. I still pack their lunches for camp, but I'm getting so tired of hand washing a lot of their plastic containers that we don't end up throwing in the dishwasher. 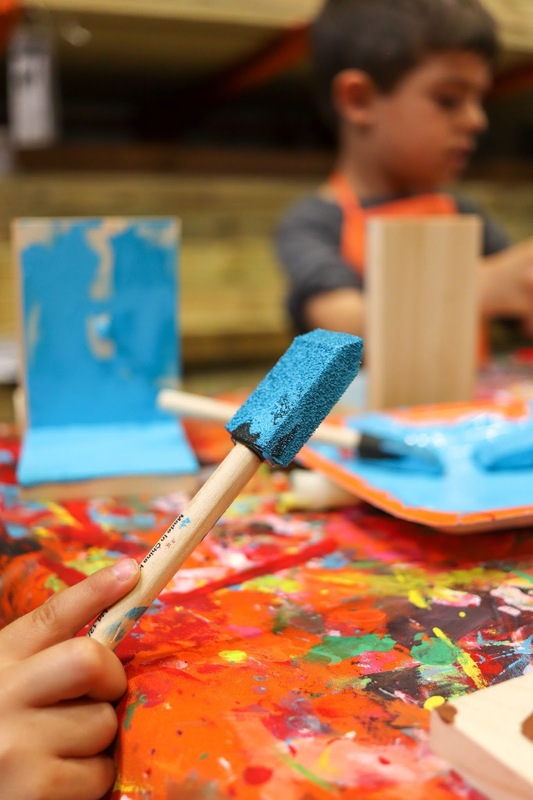 Schools don't go back until after Labor Day over here so we're still soaking up our end of summer fun. I've heard about these bento lunch boxes and decided to give them a try. I picked up this yummy one and confetti one for each of the boys. Now I'm wondering why I've waited so long to check them out. I love the divided compartments and how I can pack their sandwiches, fruit, and snacks without needed a bunch of individual containers. And, I love how the lid is leak proof. It's also easier for them to remember to pack one thing to bring home and me not needing to label a ton of different containers. I also got these reusable silicone baking cups that I thought would be be really fun to add to their boxes. I loved these ones with the shapes but decided on the regular ones to try out first. We also have these sandwich cutters which are really cute and the boys get excited to see which one I picked out for them in their lunch. Does anyone else find that their kids eat better when their food looks fun? I'm excited that our monthly girl chat will be taking place on Thursday. 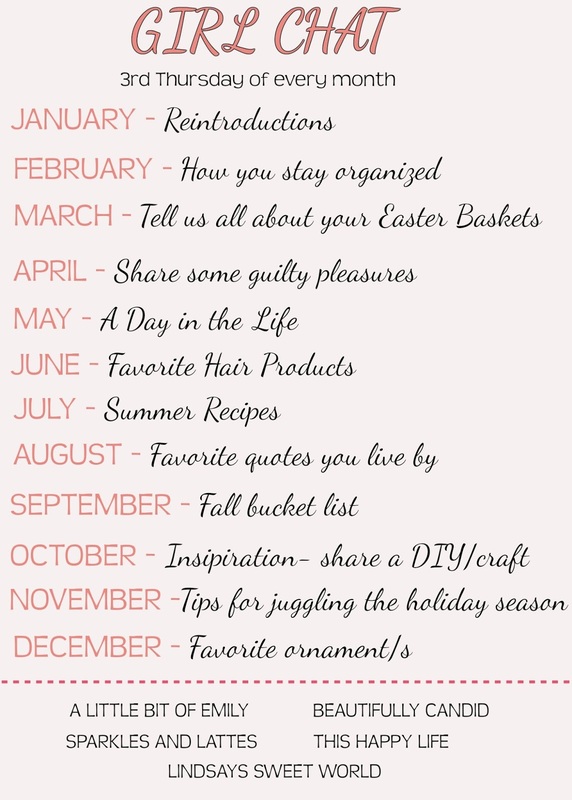 This month we'll be sharing our favorite quotes and I can't wait to read yours! I love a good quote and inspirational sayings. It was so much fun reading about your summer recipes last month and getting some great ideas to try. I hope that you'll be joining us again! We would love to see some new friends join in on the fun as well.